← Bike to School Month, Parents Who Ride Rule! As we’ve said, we took the One Less Car Challenge last fall. We sold our newish Saab, and got $600 in Zipcar benefits (among other things) in exchange. It seemed like a pretty good trade. We didn’t drive very much, but wanted to keep the car around because, well, you know: “just in case.” The Zipcar benefits handled the just in case part and it was a lot easier to let go of the car, it’s sunk costs, and associated negative externalities. We’ve yet to use the Zipcar benefits, as we drive even more rarely since giving up the Saab (funny how that works), but having the benefit made it easy to let it go. Even though the program has been on “hold” for a few months, we’ve been talking it up as we’ve encouraged people to make the move to bike transporation. The City of Seattle just renewed the program and we were naturally curious about the new incentives. Oddly, these One Less Car incentives seem like they’d fit better under a Celebrate Your Car slogan. The Zipcar benefits are gone. Aparently Zipcar wasn’t interested in continuing Flexcar support of the program. Zipcar bought Flexcar last fall. In fact, it was like pulling teeth to get Zipcar to honor the benefits Flexcar had promised. The new benefits provide two otions: Commuter Bonus and Commuter Bonus Plus. The plain-jane Commuter Bonus package supplies a $200 voucher for bus, ferry, and vanpool fees. I guess this is an OK option for transit minded folks (though $200 doesn’t get you much). Sell your car and get a car wash in exchange! How about 25 gallons of gas at Union 76?!? Ok, wait a minute—this is really good. How about some stuff at the AAA retail store? You know the kind of stuff you really need when you’ve made a choice to get out of your car. Road maps, roadtrip planning, jumper cables, trunk kits, and what have you. 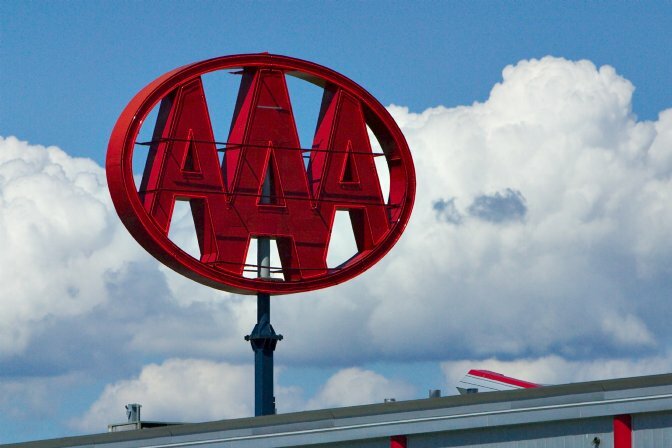 These AAA benefits are a especially tasteless choice when you consider AAA’s track record of lobbying against anything transit, HOV, and anything less than car-dominant transporation options. We really wonder what the One Less Car folks at the city were thinking? Are they serious about this program or is it just a legacy offering that they can’t kill outright for fear it would make Mayor “Green” Nichols look bad? If they really are serious about the program, they could up the incentive to something worthwhile. One obvious choice: just buy One Less Car participants a bike. Children’s Hospital is doing it. Seems like the city could up the ante a bit—to say $600—so participants could get a decent commuter set up. If budget dollars are too tight (though we’re guessing each car off the road saves the city more than $600/year in road costs), how about partnering with a bike company to get them pro-deal cost (about 50 percent off). Seattle is a future (June) participant in Bicycling Magazine’s Bike Town program. This program provides essay writers a free bike. Seems like One less Car could negotiate to provide “car-shedders” the same deal. I can’t imagine a better tie-in for the One Less Car Challenge. As it stands, $200 isn’t going to get you much of a ride. You might as well just gas up the Tahoe a couple times. Come on, Way to Go, if you really want to motivate people you are going to need to try Way Harder. This entry was posted in alternative transportation, bikes, Human Powered Politics, seattle, sustainability and tagged alternative transportation, One Less Car, seattle. Bookmark the permalink. I think that the “Challenge” was to give the most spectacular lipservice possible to the politically correct pose of removing cars from the roads while making sure not to inconvenience anyone by actually encouraging them to give up their car. Politics is better than vaudeville. Better World Travel club is a true alternative to AAA, I have their Bicycle Roadside Assistance, but I have never actually used it, so I can’t vouch for how well it works. I mean, who would show up? A tow truck? A local bike mechanic?